efficient methods for recovery and purification of diacids from the broth. 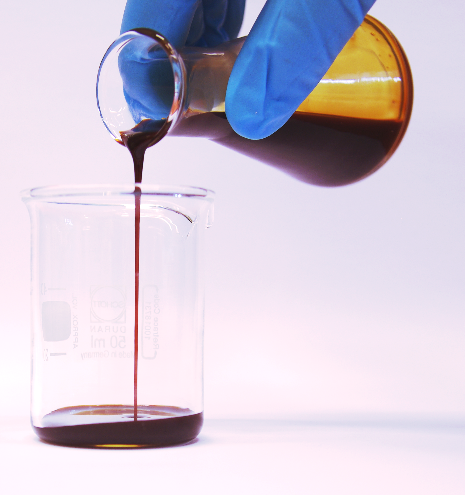 The challenges in the process development include firstly designing the fermentation of a complex raw material, and secondly purifying the desired carboxylic acids from the fermented broth to a required degree of purity for polymer applications. In BIOREFINE-2G, we work with raw materials which holds several sugars - including a large fraction of pentose sugars – as well as several other compounds, which may affect the physiology of the host. The yeast Saccharomyces cerevisiae is a well suited host to function in these environments, and in the strain development part, a range of yeast strains have been engineered both with respect to the substrate use and the desired target products. To enable efficient fermentation, we are tuning the process conditions to reach a suitable compromise between needed fermentation time, product yields and titers. This is done in close collaboration with the strain development efforts by the molecular biologists. Fig. 1. Example of a lignocellulose-derived sugar containing liquid. Following the first phase of host strain characterization, work in the fermentation development has moved on to evaluating engineered strains. Novel strains generated within the project are now continually tested for their performance, both in suitable model media and industrial media. This provides critical information on metabolic responses and feed-back to improved strain development. Another important part of the work is to set fermentation conditions in preparation for purification tests in the scale-up verification. A close interaction with the industrial partners working on this is here important. The development of a downstream processing method for the recovery of bio-based dicarboxylic acids faced many challenges to reach the purity standards suitable for polymerization. A multi-stage approach was developed to overcome the issues posed by the high amount of lignocellulosic impurities in the fermentation broth and by the fermentation by-products. 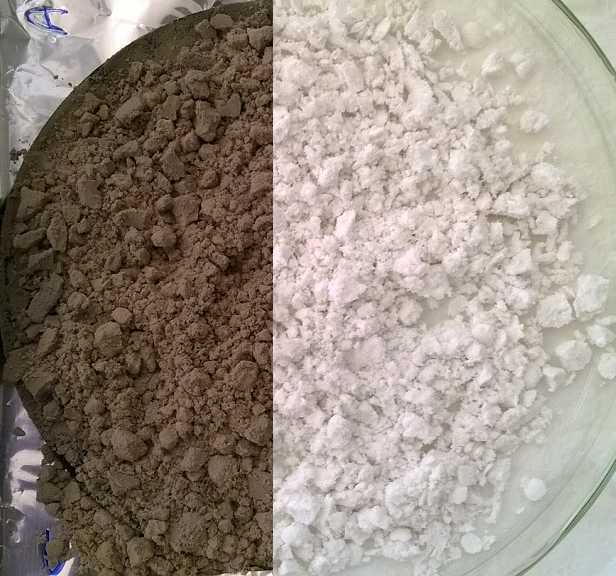 Recovered solids from complete process experiments showed that purity specifications were achieved in high product yield. During the course of the work, a number of industrial waste streams were employed as raw materials, namely hardwood SSL’s with different specifications. It was verified that even in the case of varying raw material characteristics the process was consistent in producing fumaric acid solids of adequate purity. Fig 3. Dicarboxylic acid-containing solids with (left) and without (right) lignocellulosic impurities. 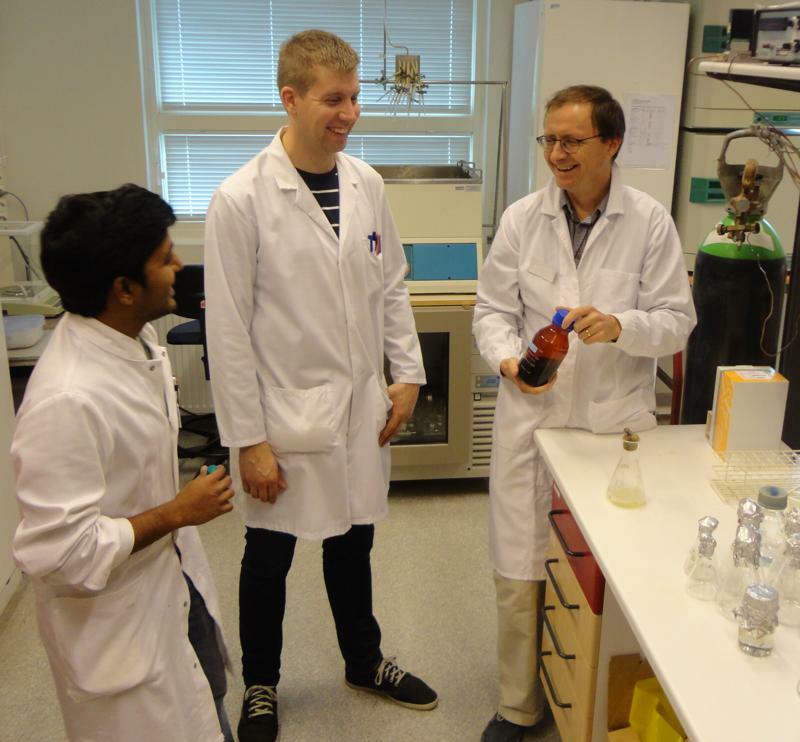 The final validation was obtained by testing the fermented material provided from the demonstration activities. With the described protocol, crystals of similar purity were obtained, thus validating the proposed purification process. The optimization efforts in recycling and re-use of streams reduced the economic and environmental impact of the process, which coupled with the thorough testing and analysis of the optimized purification process made clear the process integration opportunities. Therefore, modifications in the process were implemented, minimizing the generation of waste streams containing fumaric acid and enabling a yield increase while keeping the product specifications. Fig 4. 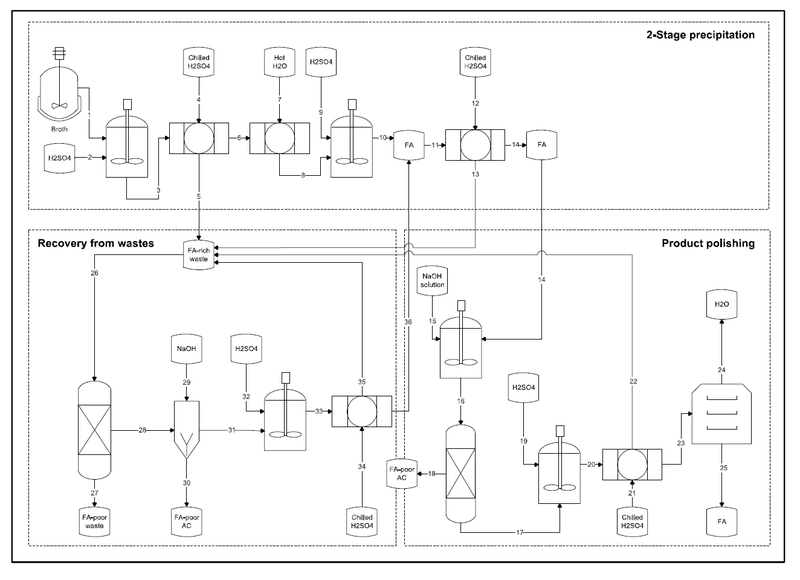 Process flow diagram of the downstream processing of the bio-based fumaric acid from lignocellulosic streams. The several steps of the developed integrated process are comprised of scalable unit operations, rendering the purification of fumaric acid from lignocellulosic biomass a process of relevant industrial interest.